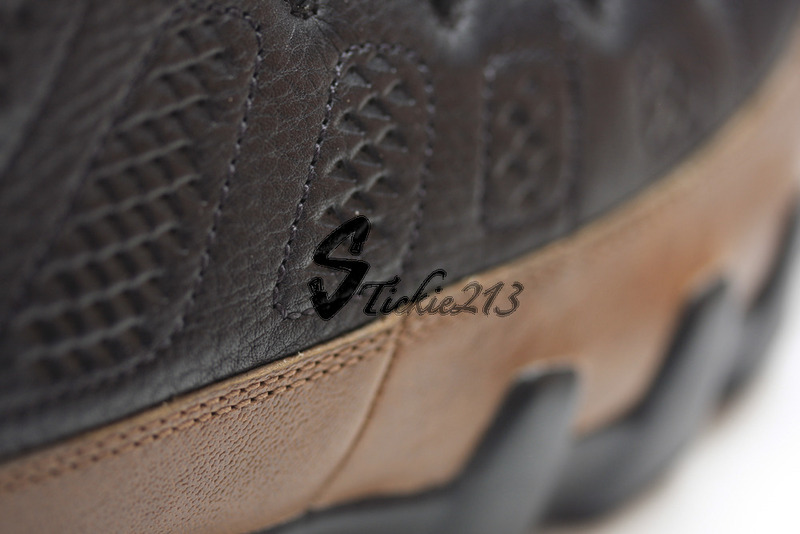 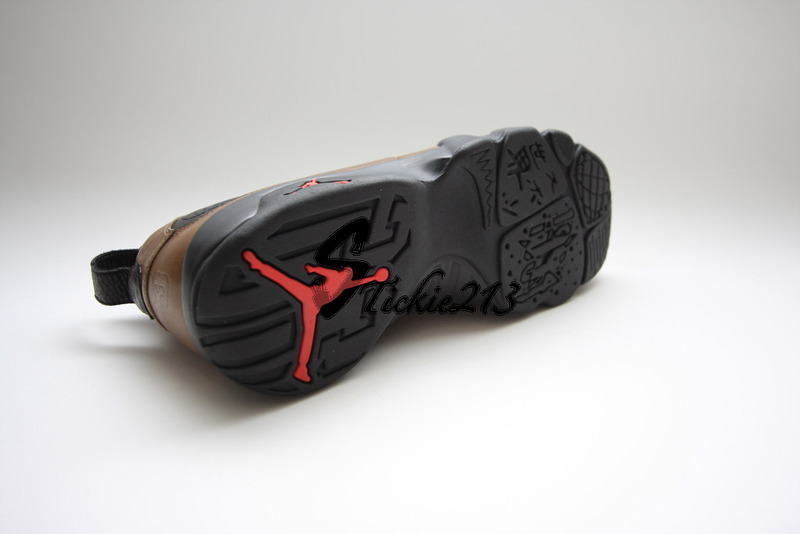 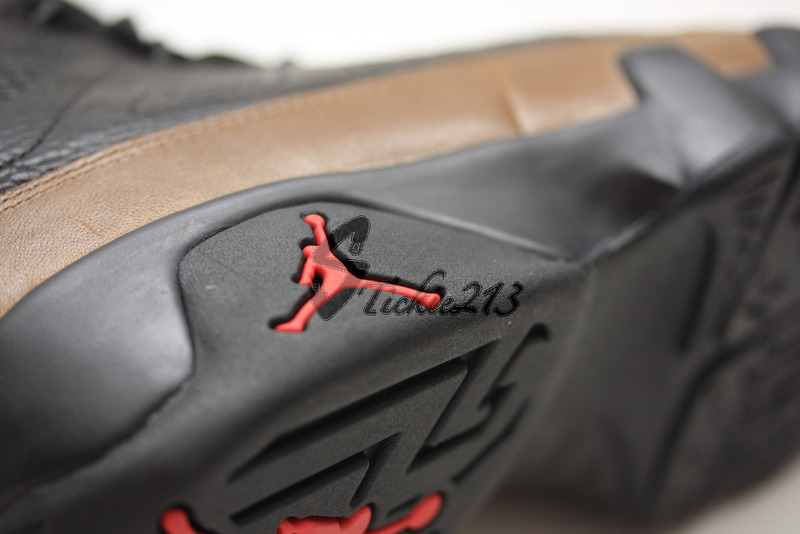 Detailed look at an unreleased Air Jordan Retro 9 sample intended for the Jordan Brand's Premio BIN 23 collection. 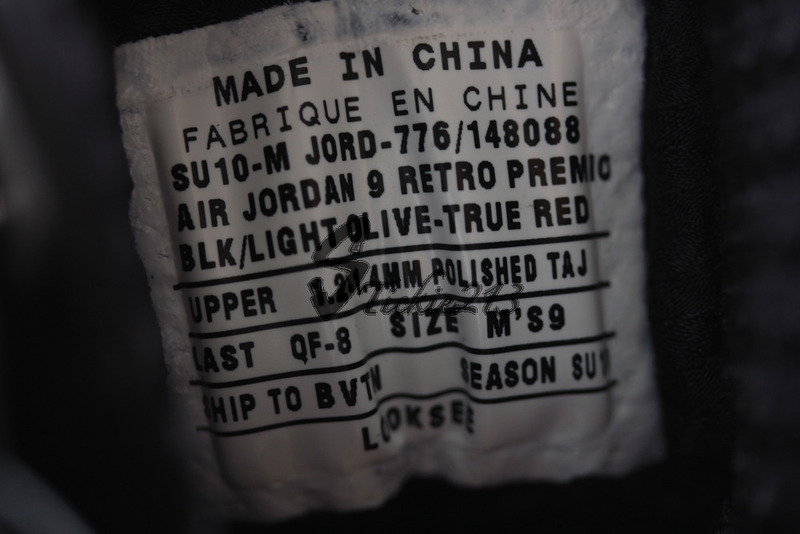 Sometimes when looking back at unreleased samples of past Air Jordan releases, you realize that while the release product was already amazing, the unreleased goods are really where the heat is at. 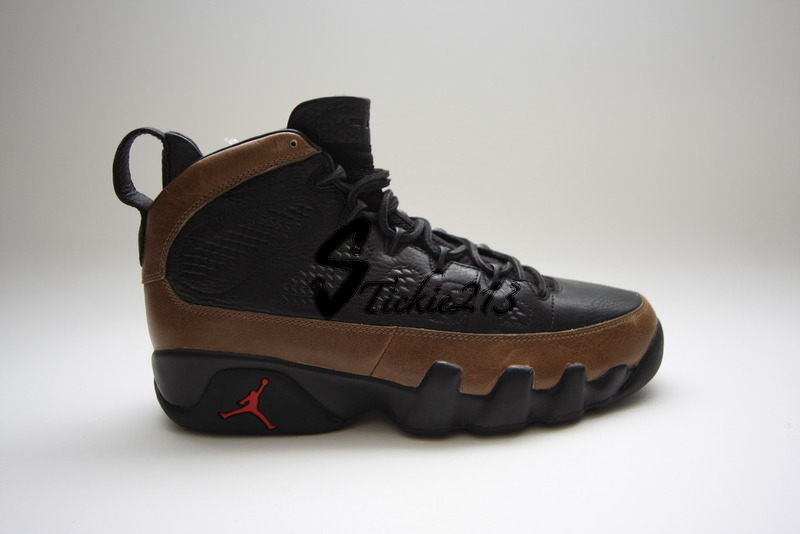 Perfect example is this latest Retro 9 look-see sample to surface, intended for the "BIN 23" collection and sporting the highly-coveted OG "Olive" colorway. 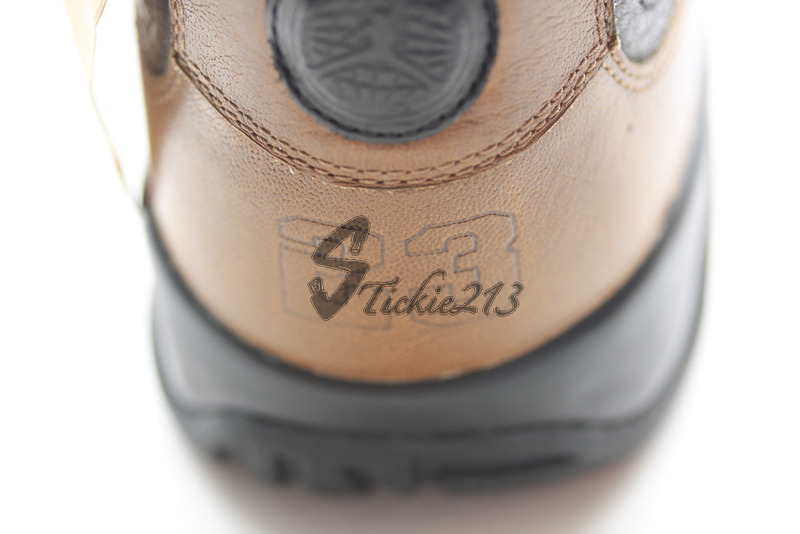 Just like every other model in the Air Jordan "BIN 23" collection, this particular pair of the Retro 9 re-created the original "Olive" color scheme with a series of top-notch quality leathers. 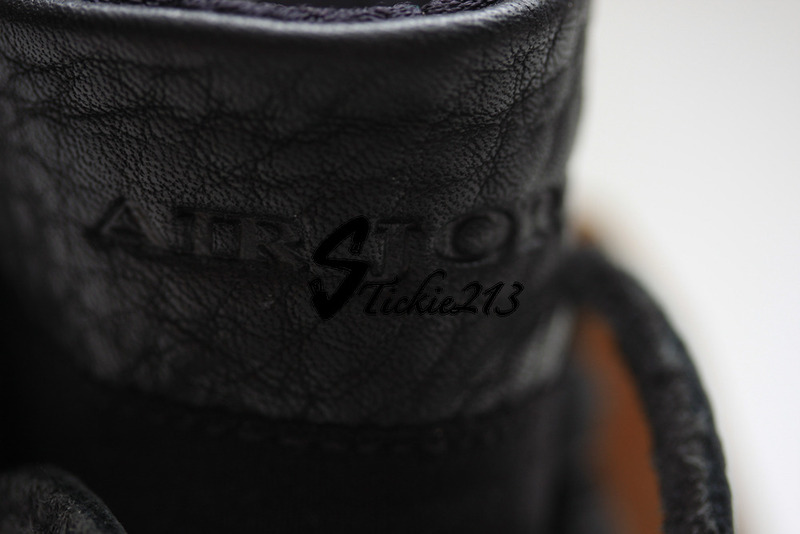 A premium black leather builds the upper, with a light olive leather running along the toe up to the ankle area. 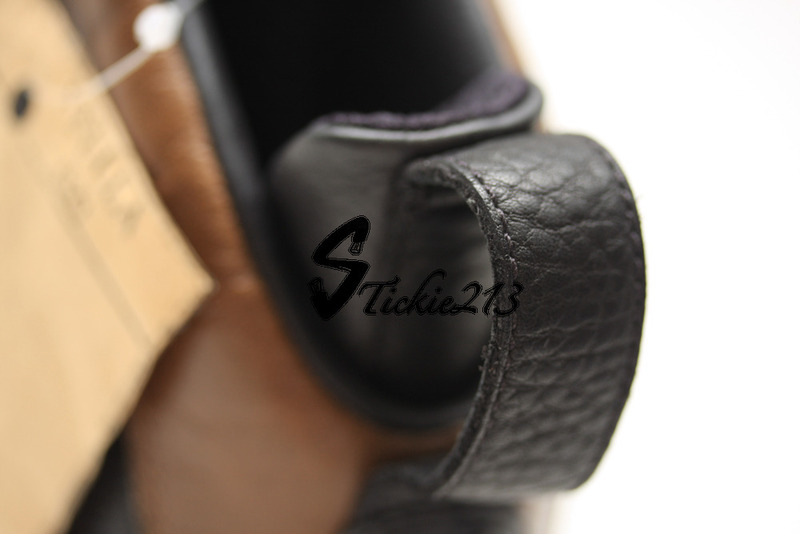 Leather laces maintain that premium feel, along with several hits of true red to complete the OG inspiration. 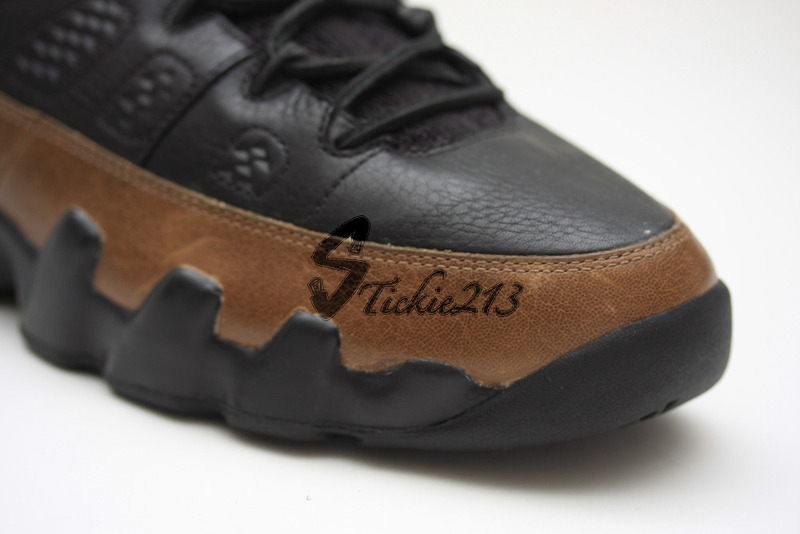 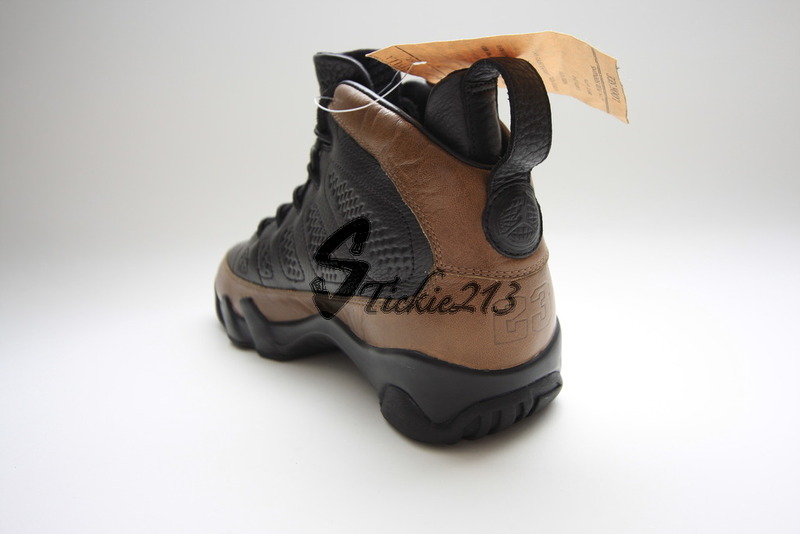 Continue below for a detailed look at this unreleased sample Air Jordan 9 Retro Premio and stay tuned for a full video-review provided by Stickie213.